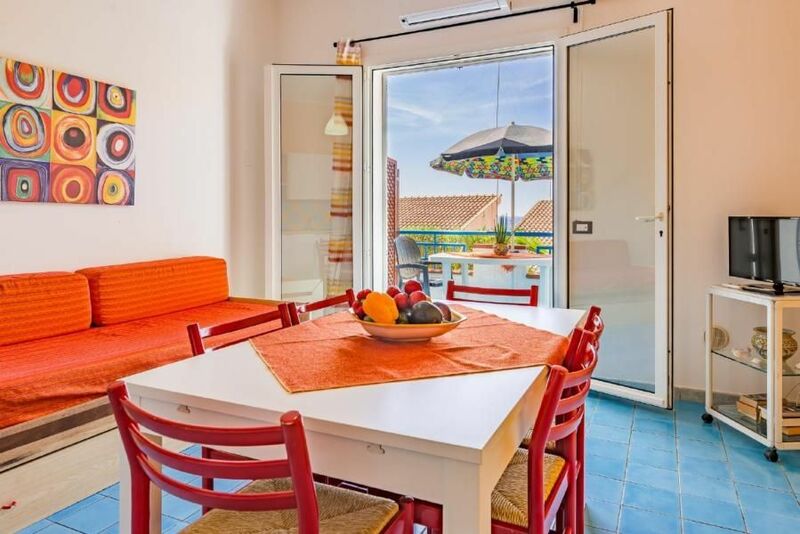 Very attractive holiday home with independent flats mq 60, only 100 mtr from the beach, with sea view, terrace and/or balcony, barbecue and street parking. Free WI-FI connection. Lumia is only 5 km to center of Sciacca, one of the oldest towns in the island that conserves artistic works of notable interest especially of the medieval and baroque periods, there are excellent modern thermal facilites. Sciacca is a very lovely town, full of old palaces, ceramic shops, characteristic alleyways and restaurants where you can enjoy our good Sicilian cuisine with its fresh fish of the day, his “Cannoli di Ricotta” and the fresh “Granita”. The strategic position of Sciacca gives the opportunity to visit the south and west of Sicily, only 40 km far from Agrigento, 100 km from Palermo and 30 km from Selinunte. - Bed linen: once per person for rent at a price of 5 EUR (optional). - Towels: once per person for rent at a price of 5 EUR (optional). - Electricity: per object and day Costs amounting to 12 EUR (Mandatory). - Cot for children: per object and week for rent at a price of 20 EUR (optional). - Pet: per pet and week Costs amounting to 20 EUR (Mandatory). (once per person, vorhanden 5 EUR). Bed linen (once per person, vorhanden 5 EUR). Cot (Per property and week, to be brought by the traveller 20 EUR). Cot for adults (per person and day, to be done by tenant 7 EUR). Intermediate cleaning (per property and day, included in price 0 EUR). Parking facilities (per property and day, included in price 0 EUR). Towels (once per person, vorhanden 5 EUR).